Surveying the sun and stellar bodies during the day require using the best telescope solar filters. The sun's rays can damage your eyes without the right viewing equipment. Learn about which filters can make your solar viewing experience safer and enjoyable. Not everyone can invest in an expensive telescope to view the sun. And making your own special filters to view the sun may still run the risk of your eyes incurring some damage, or a lower-quality viewing experience. 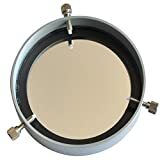 There are plenty of quality retailers that sell a solar telescope filter that is economical, effective, and certified for safe viewing of the sun. The invention of the solar telescope filter helps block out the harmful rays of the sun from entering your telescope so that you can enjoy a magnificent view of our solar system's largest star. Thanks to technological advancements, you can easily transform an average telescope into one that is capable of viewing the sun, by applying the right type of solar telescope filter. 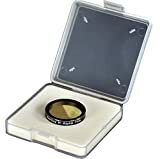 It is a lot easier to purchase multiple types of solar filters for a telescope than to invest a hefty sum in the most expensive skywatching equipment available. Plus, different types of filters can change the quality of what you view for capturing images and surveying. 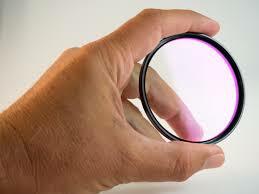 A quality solar filter is necessary to protect your eyes and the optics within a telescope. As the sun produces a lot of energy very quickly, unprotected telescopes and eyes can take on a lot of damage in seconds. There are two types of solar filters for telescopes, and they both have unique functions to allow for a unique view of the sun. This type of filter is identifiable by some of the following features. If you have a small refracting telescope or wish to observe solar prominences, you will want to use a hydrogen-alpha solar filter. Albeit a little bit more expensive than white light solar filters, you may notice the following features. No matter the type of solar filter you choose to view the sun, you will want to make sure that it blocks out infrared and ultraviolet light that can prove harmful. Both types of filters should only allow for under 1% of visible and invisible light to pass for safety. Choosing the top products on this list required some research on our part. We looked at the reputation of manufacturers and suppliers. We also considered customer feedback from real people like you, who are passionate about surveying the heavens for recreation and beyond. Only filters that received high marks on performance, offered multiple usabilities, and were at varying price points were considered for this list. We understand that you already invest so much in a quality telescope, so choosing filters that will enhance your equipment's capabilities and provide a comfortable and safe experience matter. Get a better look at the sun with adequate protection for your eyes and telescope with the following solar filters. There are plenty of different filters available, which you easily mount to your telescope to view sunspots and more. However, the following filters are priced for various budgets and accessibility for skywatching enthusiasts. Mr. Star Guy is based out of California and has been a passionate skywatcher for years. Anyone who is looking for a hydrogen alpha solar filter that won't break the bank may like this option. This solar filter allows viewers to get a high contrast image, even if there is light pollution present. A narrow band on this filter improves the contrast shown by nebulae emissions, and it only allows for hydrogen alpha light to pass through. You won't get any unwanted halo effects using this filter, and checking out solar prominences is made easy using this attachment. Other filters from Mr. Star Guy can be used in tandem with this filter. Double-sided coatings that are highly polished help reduce unwanted light and visual effects from taking place. ​ Viewing a solar eclipse, sunspots, and other activity revolving around our universe's largest star is made easy with this economical white light solar filter. This filter is made using German-made Baader Astro Solar Safety Film, which is a respected manufacturer of telescope filters and other skywatching equipment. The film is resistant to streaks, blisters, and is of a high quality. When viewing the sun through this filter, your eyes meet with a neutral, pleasant light. The optical density for this filter is 5.0 aperture of the telescope. This filter is adjustable an is made using aluminum with a powder surface. Some users feel that there may be a slight reduction in the clarity of the images shown in the telescope. Adjusting and focusing using this filter may take some getting used to for the desired effect. ​This solar filter is a perfect fit on most telescopes, binoculars, and scopes. When you want to view the sun with a larger diameter, this filter allows for adjustments to view between 81mm through 112mm in diameter. The optical density on this filter is a 5.0 aperture of the telescope. Thanks to using a Baader Astro Solar Safety Film, viewing the sun showcases a neutral white light which is easy on the eyes. The film is streak-free, blister-free, and made for multiple uses. Eclipses, sunspots, and planetary transits are all safely viewed through this filter. To enjoy safe solar viewing, this filter must be completely fitted to the front of the lens. You get to enjoy high-quality images of the sun, and can easily make out solar flares and granulation without optical distortion. Taking pictures using this lens works well for a more than reasonable price. Thousand Oaks Optical has been a manufacturer of filters for telescopes for over three decades, and they still don't disappoint when it comes to the quality of their products. Professionals from organizations such as NASA, National Geographic, and various television stations have relied on Thousand Oaks Optical for optimal viewing experiences of solar eclipses and beyond. Skywatchers who have a Celestron or Meade instrument may appreciate using this solar filter. Unlike other filters which need to be screwed on, this filter fits onto a telescope via friction. Making sure that the size is exact is essential to a good fit. This is not a white light filter, as this device is made using an impregnated polymer, and gives the sun a yellow-orange appearance. Sticky tape can be applied to this filter to ensure that it does not fall off while in use, and make sure that the eyes are protected from damage at all times. Quality manufacturing is taken into account with this modest 8" diameter solar filter. It is not subject to developing pinholes or scratches. Plus, this filter provides a flat surface that does not wrinkle, has even density, and will not easily tear or puncture. ​When applying this Orion silver colored solar filter, it blocks up to 99.99% of sunlight from coming through, so you can safely view stellar bodies. This filter easily fits onto SkyQuest XT 4.5 and AstrowView 120 reflector telescopes, plus other models. Thumbscrews and materials used as a shim help ensure that this filter stays securely in place. Foam tabs are used to allow for a fit based on friction with the telescope and filter. Only after the filter is firmly fitted into place, the screws are an additional security measure. This glass solar filter is combined with aluminum for durability, and the light shown is yellow-orange in color. 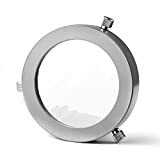 The glass on this filter is coated three times with an advanced alloy and machine-polished to prevent scratching and ensure optical quality. The infrared and ultraviolet light that can cause damage to the eyes is restricted from entering this filter, which easily slides over the front of the telescope using a friction fit. Optical tubes that have an outer diameter of 50mm to 72 mm are a match for this solar filter. An affordable solar filter for avid skywatchers, this filter uses Baader Astro Safety Solar Film and has a sturdy aluminum cell to keep everything in place. 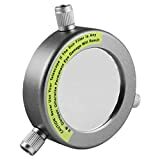 When placing this filter onto a telescope, the clamping screws and protective cap help reduce damage to your equipment. A wavy line may be present on this larger diameter filter, but it doesn't take away from the experience of observing the sun during the day. This solar filter provides a neutral white light viewing of the sun. Viewing and taking clear photos of the sun is made easy with this solar filter for refractor telescopes. This solar filter is applicable for a PowerSeeker 70 or Travel Scope 70, to transform the view using neutral white light. Your eyes can catch a safe glimpse of the sun during the day, as this filter is ISO compliant. The cap is designed to fit snuggly over a telescope lens, and three screws are included to ensure a good fit. As a bonus, an included safety cap comes with this filter to protect it from dust, debris, and damage when not in use. Human beings have been obsessed with surveying the heavens above, searching to better understand the world around them, and developing the equipment to do so. When it comes to purchasing the right devices to safely view the sun, stars, and other stellar bodies in our universe, knowing the exact features you need is essential. Depending on how often you love to go skywatching, and how much you are willing to spend on a telescope, filters, and other equipment, this list of top products will help give you a guide map. Investing in a few different types of filters can help adjust your view, and additionally may transform your telescope without a significant upgrade. Before making a purchase, ensure that the diameter of the filter you are selecting will comfortably fit your telescope and stay put. Consider whether you wish to invest in a solar filter that uses white light, a yellow-orange light, or is a hydrogen alpha model for your visual pleasure. And above all, ensure that the filter you choose is ISO certified and will keep your eyes safe from harm.